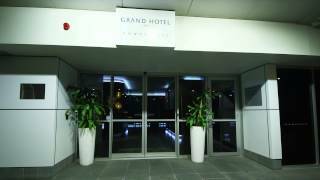 The multi award winning Grand Hotel and Apartments Townsville is ideally located in the heart of Townsville's premier dining precinct and close to the Strand, Castle Hill, central Central Business District precinct, Casino and all of Townsville's attractions. To enjoy the best restaurants, service and north Queensland produce, Palmer Street is the place to be, even better, you can charge back to your hotel room. Well appointed Superior King rooms, One Bedroom Apartments and Two Bedroom Apartments all feature air-conditioning, en-suite bathrooms, high speed and wi-fi internet access and private balconies. Apartments are fully self-contained with kitchen and laundry facilities. Guests have access to the sundeck swimming pool and spa area and a full modern gymnasium. The hotel also offers room service, free off street parking in addition to secure undercover car parking (daily charges apply). King rooms are well appointed with individually controlled air conditioning, ensuite bathrooms, private balconies, mini bar, LCD televisions, high speed internet, study and dining desk and tea and coffee making facilities. One bedroom apartments are well appointed with separate bedroom and living areas, individually controlled air conditioning, ensuite bathrooms, private balconies, mini bar, LCD televisions, high speed internet, study and dining desk and tea and coffee making facilities. Apartments are fully self contained with kitchen and laundry facilities. Two bedroom apartments are well appointed with two separate bedroom and one living area, individually controlled air conditioning, ensuite bathrooms, private balconies, mini bar, LCD televisions, high speed internet, study and dining desk and tea and coffee making facilities. Apartments are fully self contained with kitchen and laundry facilities.